This year for Mark’s walk, Kyle Defoor will run the 34 miles to raise money for Mark’s foundation. Each year he does a big charity event, and this year he wants to help out Mark’s foundation. 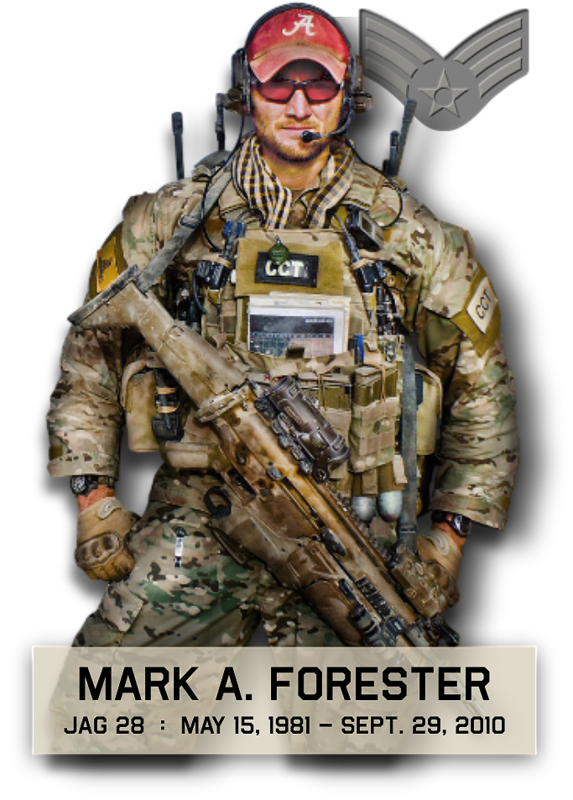 After serving as a SEAL in the Navy, he has become one of the most skilled and effective firearms and tactics instructors in the U.S. He is also a friend of ours since we grew up and played sports together. Kyle is an avid runner and outdoors man. He is posting his weekly running schedule and workouts on his Facebook page as a way to provide coaching as well as draw attention to why he’s preparing to run 34 continuous miles in the hilly terrain of Haleyville. We recently received a large donation from one of Kyle supporters and they told us that he is a man of integrity and they support him. Since he’s supporting The Mark Forester Foundation, they support us as well. If you’re not taking part in the walk on May 16, maybe you’ll see him running the route that day. He will be the only runner; everyone else will be walking as we do each year. We will finish in about 13 hours. He’ll finish in about 6. We are very grateful for his commitment to give back to the community. We also salute him for his service to our country as an elite operator. We also thank those who donate to the foundation in his name. If you wish to participate in the birthday walk, you can read about it and register HERE. Or if you just want to donate to the cause, you can do so HERE (via Paypal or check).